I love SpringHill closing days and in particular our “closing rally”. It’s fun, inspirational and downright moving to hear the testimonies of campers who share their SpringHill Experience with the other campers, staff and camper families attending the rally. It takes courage to share your story in front of 100’s and sometime’s 1000’s of people. But when campers do everyone’s blessed. This past Friday was closing day week 1 of our Indiana overnight camp. 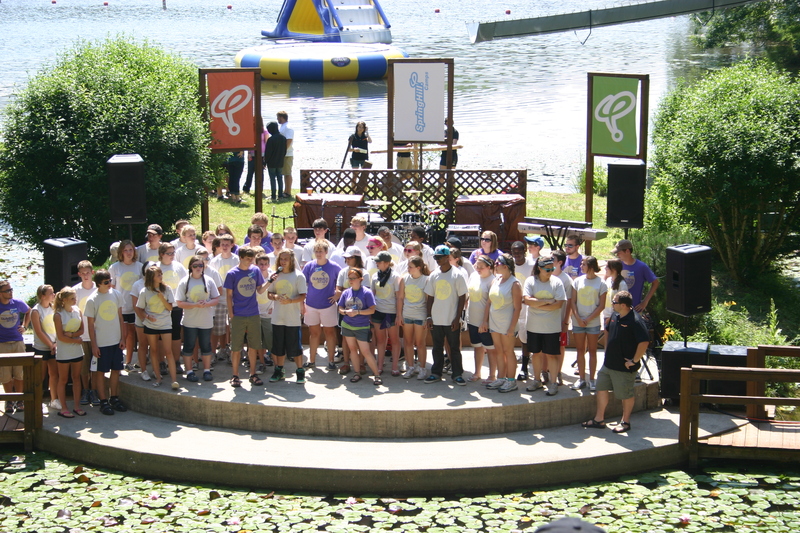 It was a perfect day with incredible weather to celebrate what God’s done in the lives of campers. Wow! After 9 months of hard work preparing SpringHill for the arrival of campers, hearing these words was a gift greater than any paycheck, perk or benefit our staff could ever desire or receive. But more importantly I just happen to be standing by this camper’s mom and, as you might expect, it was obvious that this camper’s words blessed her mom more deeply and more profoundly than she’ll ever know. Watching this mom listen to her daughter was a gift I graciously accepted and it left me more thankful than ever for the privilege we have to do what we do on behalf of kids, families and Christ.